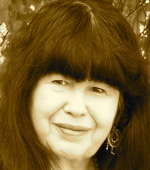 A Year of Being Here: Marge Piercy: "To Have Without Holding"
"To Have Without Holding" by Marge Piercy, from The Moon Is Always Female. © Knopf, 1980. 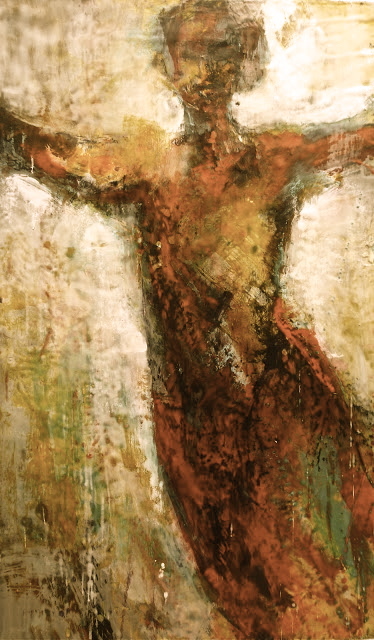 Image credit: "Arms Wide Open with Love," encaustic on board, by Ezshwan Winding (originally color). I so appreciate the time and thoughtfulness that has been invested here. As a mindfulness and meditation teacher, I am thrilled to have this resource. You're very welcome, Kay. It's my privilege and my pleasure to share these poets and their poems. Feedback like yours is so encouraging! Happy New Year.